CENTER POINT — The Center Point City Council unanimously passed a resolution honoring and congratulating the Center Point High School varsity boys’ basketball team for the achievement of making it to the ASHAA 5A Championship basketball game. The team was invited to stand and be personally congratulated by members of the council and Center Point Mayor Tom Henderson. 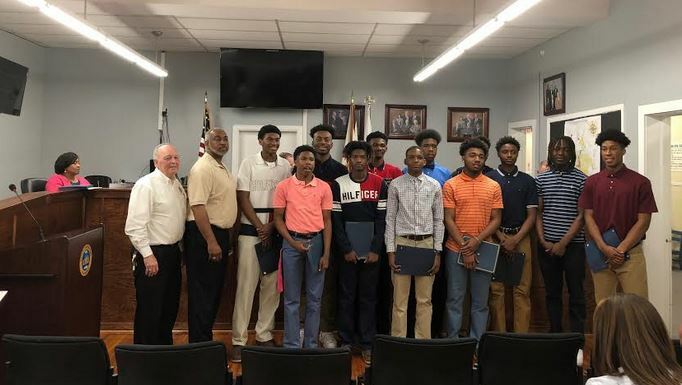 The Center Point City Council unanimously passed a resolution similarly honoring and congratulating the Center Point High School varsity girls’ basketball team. Henderson read the resolution aloud as the girls’ team assembled to be personally honored and congratulated by the mayor and the council. A large round of applause accompanied each of these teams as they were honored, congratulated and acknowledged.